Since I wrote about drawing subjects last week, I decided this would be a good time to add my first book review. (I’ll explain the connection below.) There are some great drawing books out there and sharing a few reviews now and then will add some nice spice to the lessons. 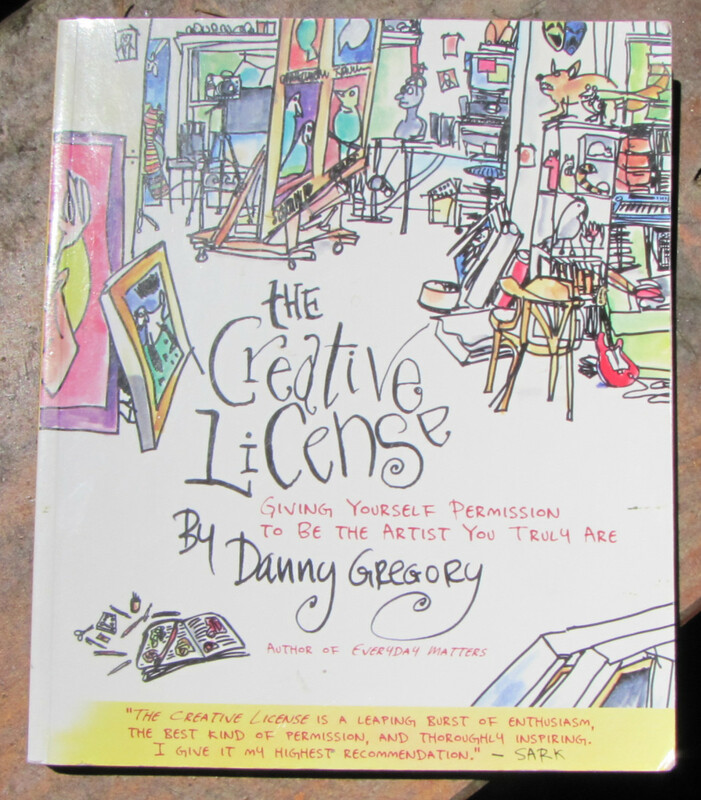 So I’ll start with my favorite – “The Creative License” by Danny Gregory. I have not met Danny, but I knew immediately that he was a kindred spirit after reading the introduction. He loves to draw and believes that everyone – yes EVERYONE – has the ability to be “intensely, brilliantly, wonderfully creative.” His book is energetic, inspiring, and above all positive. He covers basic materials, primary skills, creativity, roadblocks, encouragement, and more. Quite frankly I don’t see how anyone could read even part of this book and not race out to get a sketchbook and pencil to start drawing. “The contents of the kitchen cabinet, fridge, bedside table, medicine cabinet. You get the idea – the list fills the page. Drawing subjects are indeed everywhere. His book is full of creative ways to look at the world. The result is that we all become more creative, more aware of the beauty in the world around us by opening our eyes to see the amazing designs of everyday life. We learn that we are indeed creative, unique and have something valuable to contribute. I can’t think of a better purpose for any book. Previous What should I draw?